Portola Creek Capital aligns your investment portfolio with your personal values. Together we can drive positive impact. Learn more about Portola Creek. If you were to choose between companies being environmentally-friendly, socially-responsible, or governed well, which do you admire most? which of these 3 are most important to you? Producer of electric cars, lithium batteries, and solar panels. Provides online advertising services, as well as many consumer and hardware products. Want to learn more about our services and what Portola Creek can do for you? Let’s have an introductory call. Global entertainment company including television, radio, movies, and theme parks. Producer of electic cars and lithium batteries and solar panels. Designs, manufactures, and sells computer, networking, and communications platforms. Develops database and middleware software, application software, cloud infrastructure, hardware, and services. Operates mountain resorts and urban ski areas in the United States. A highly-diversified global technology company. Designs, manufactures, & markets mobile communication devices, personal computers, & other products & services. A global commercial real estate and investment company. Develops enterprise cloud computing solutions with an emphasis on customer relationship management. Manufactures and markets cleaning, household, lifestyle, and international products. Develops, licenses, and supports software products, services, and devices worldwide. Warren Buffet’s holding company includes insurance, railroad, energy, housing, food, media, and consumer goods companies. We invest in individual stocks, bonds and other entities that have high growth potential and treat their employees, the environment, and their community well. Contrary to what many people may think, investing in sustainable companies does not compromise returns. That’s because companies that are committed to having good ESG practices - Environmental, Social and Governance - also perform better financially. Learn more about Portfolio Managment at Portola Creek. We look at a company’s energy use, waste, pollution, natural resource conservation and animal treatment. We also evaluate which environmental risks might affect a company’s income and how the company is managing those risks. We look at the company’s business relationships. 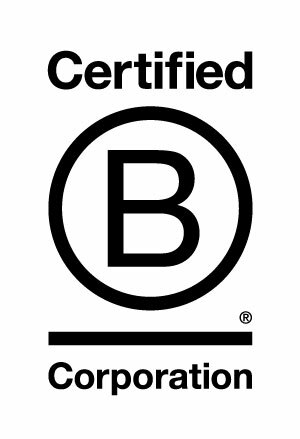 Does it work with suppliers that hold the same values that the company itself claims to hold? Do the company’s working conditions show a high regard for its employees’ health and safety? Are stakeholders’ interests taken into consideration? We want to know that a company uses accurate and transparent accounting methods, and see that common stockholders are allowed to vote on important issues. We also want companies to avoid conflicts of interest in their choice of board members and use of political contributions. 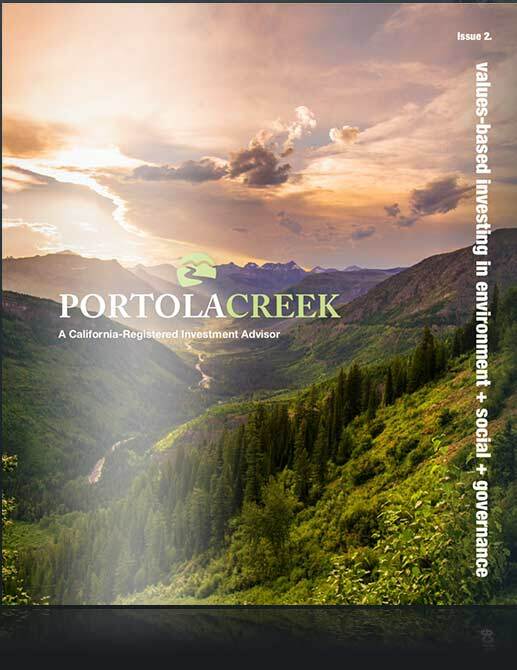 Portola Creek has joined 1709 asset owners, investment managers, and service providers in signing the Principles for Responsible Investing pledge. 2018 © Growth Capital Strategies LLC.